Calendar users rejoice. Starting today, and rolling out slowly to users over the next week or two, reminders will be available to view and create on the desktop version of Calendar. 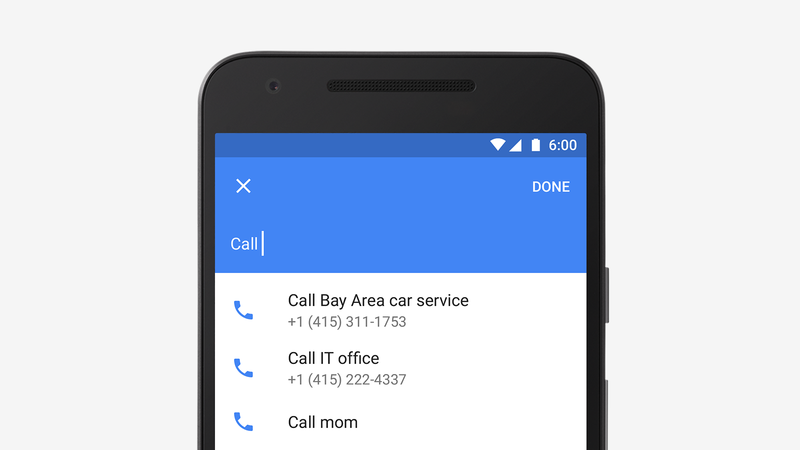 Reminders created in calendar can only be set for a date or time, not by location as in Google Now, Keep or Inbox. 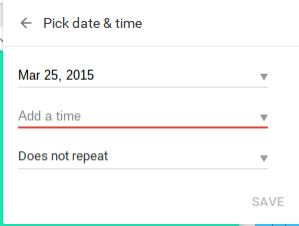 If you did not mark the reminder as completed, it will move to the next day and show at the top of the calendar. My two favorite pieces of this rollout means the completion of full integration of Reminders throughout the entire Google ecosystem. Now, regardless of platform, Mobile or Web, Reminders created in Inbox, Now, or Keep will appear in Calendar - and reminders you create in Calendar will appear in Inbox and Google Now. So it seems the Google Reminder Ecosystem has finally come together to be one cohesive task system. Starting this week, calendar is rolling out a new mobile version that includes the highly requested capability creating reminders. Calendar will now have the ability to create and display reminders so you can keep track of everything you have to do in one place. Creating reminders will be similar to Inbox reminders, where it will pull in any relevant data from your contacts including phone numbers and addresses automatically. What is beautiful about these reminders is if you dont swipe it away as completed today, because you didn't complete the task, it will automatically move to the next day. And if you know you won't complete the task today, just drag it to another day for future reminding. 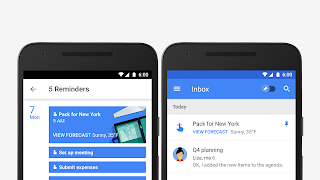 Reminders created in Keep, Inbox or Google Now will also appear in Calendar and Inbox by Gmail as well. This feature is currently rolling out on mobile, but should be coming to the web interface soon. You can see the official blog post where these images were pulled from right here. 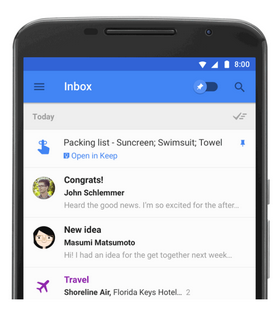 Starting today, many updates are rolling out slowly to users of Inbox by Gmail. I am excited to let you all know that reminders created in Keep will show in Inbox by Gmail. These reminders can be snoozed to new dates, times or places, and the changes will be immediately reflected in Keep. Keep Reminders showing in Inbox will have a link offering the user to “Open in Google Keep” and will redirect the user to the Keep App on Android, mobile web on iOs or the Keep website on the web. It should be noted that users will not have the ability to edit the title of the reminder in Inbox. Those types of changes will need to be made in Keep. Update 3/25/15: Keep has added the capability to have repeating reminders as well as setting a reminder to appear at a specific location. Unfortunately Keep Reminders are still not integrated with Inbox by Gmail. Given these changes, I wouldn't be surprised if the teams were working on this integration. Reminders are a great way to keep track of tasks without cluttering up your calendar, email, or task lists. They work beautifully providing you with a notification of your reminder at the EXACT TIME or LOCATION you requested when setting up your reminder. Over the past year Google seems to have really embraced Reminders, but it seems that integration throughout the Google ecosystem has been inconsistent and somewhat confusing to many users. Reminders can be created using Google Now, Google Keep, and the recently introduced Inbox by Gmail. But how do reminders created in these three programs integrate with each other? Before I get into that, I want to give a quick rundown of how you can create Reminders in each of these applications. You can use the Microphone icon and say "remind me to" followed by your reminder. Where Do These Reminders Appear? Here is where things get a bit confusing. It seems the integration of all of these reminders is not consistent. Here I will try and simplify it for you. Here is a basic video to help you all see what can be done. Sorry for such a long post, but this is a difficult topic to wrap ones head around, let alone put pen to paper. I hope I successfully clarified and simplified the current situation with Google Reminders. Great post, makes a lot of sense. Since Google doesn't announce the reminders I create on my phone and since I don't look at my phone 24/7, they're essentially useless. Richard, not sure what you mean. I get reminders on all my devices when i create the reminders in either inbox by gmail or Google now. Sure, they appear on the phone and if you happen to be looking at the phone you'll see them. Otherwise you'll miss them or see them too late. I think Google needs to use its text to speech function to announce them to really make them useful. I have an app called Calendar Event Reminder that will speak out a reminder I put in my calendar, but it doesn't work with Google reminders and Google hasn't bothered to implement anything like that yet. Richard, I have the same problem of not looking at my phone enough. You could install google now on your computer. You could also install PushBullet on your computer as a chrome extension. Pushbullet works really well to show notifications on your phone as popups on your computer screen. Jay, I agree - I stopped using google calendar as my to do list now. Interesting & Thanks!. The lack of integration makes it too frustrating for me at this point, and I'm not very busy, so I'll wait until Google makes it right. Jay tht is interesting - I did experience the same early on when the new Calendar app launched, but it seems to have rectified itself for me. That odd, that was exactly the behavior I had at the beginning - but it doesnt seem to happen any longer for me. I'm definitely new to the ecosystem I've made the switch from any.do and their calendar to Google Calendar and Keep in the past couple weeks(mobile). 3 years on and this still does not work at all. 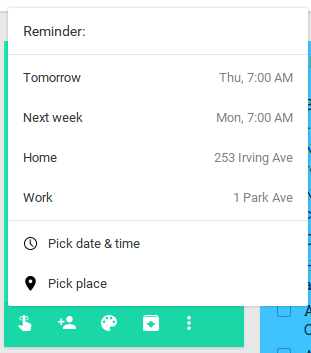 Reminders now works in google calender web version.